This book is signed by its author, Rod Dean. 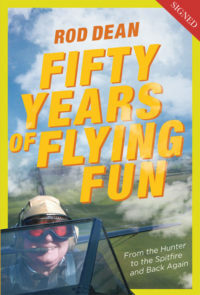 Fifty Years of Flying Fun covers, in a roughly chronological order, over fifty continuous years of flying. 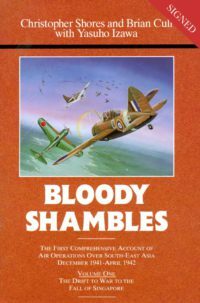 With in excess of 7,000 flying hours on 59 different types – and only one aircraft (Spencer Flack’s Mustang) with a working autopilot – Rod gives a clear, and largely humorous, insight into the operation of a cross section of piston and jet engine vintage aircraft and his undoubted fifty years of fun since the first solo on 19 March 1963. 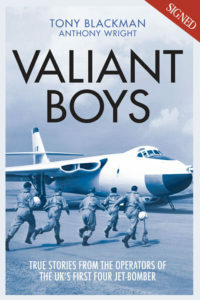 This title has been signed by authors Tony Blackman and Anthony Wright. This book is signed by the author, Lisa Fabry. The book contains recipes for cakes, teatime treats, pies & pastries, tarts, trifles and cheesecakes, ice creams, sorbets, mousses, custards and creams. 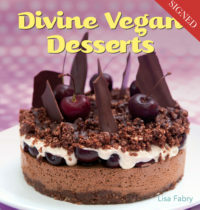 So whether you are a practising vegan, lactose intolerant, on a gluten-free diet or simply want luscious desserts without all the calories this is THE book for you.